I’ve been idling contemplating getting a new cage for the ratties for a while. The Savic Freddy 2 Max has been great for them, but as Nine became less mobile, it got harder to elegantly lift her out through its relatively small door. And something with better access would be easier to clean and furnish. Much reading of forum recommendations and cage specifications, combined with an admission that no, we can’t fit one of the double-height cages under the stairs, led me to the conclusion that I wanted a single Critter Nation for them. Unfortunately, when I was looking earlier this year, they were quite hard to find, and anyone who did have them was charging silly money. I finally found a supplier at a sensible price, but then all the redundancy kerfuffle kicked off, so it got put on hold. Then, on Friday, Codepope dropped in to our local pet shop and texted me a photo of the single Critter Nation they had on sale for £40 less than the best price I had come across. He even got them to bring it round to us that evening. So now the girlies have a new home. 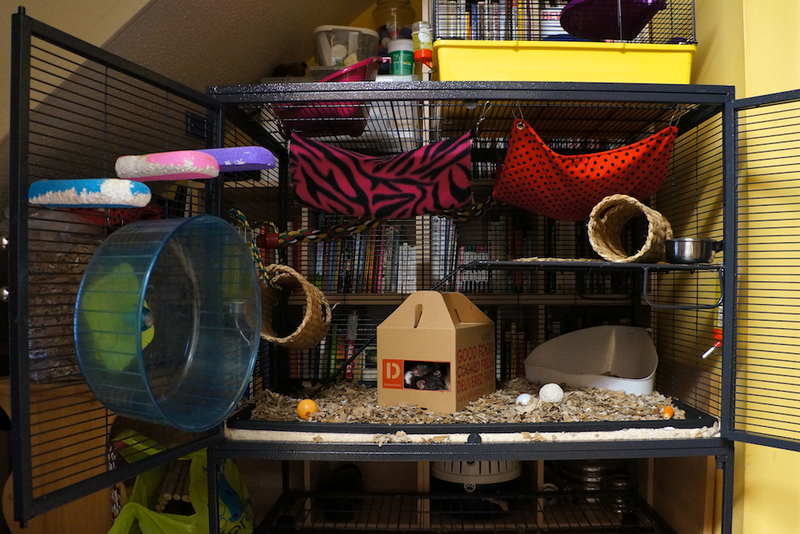 This layout will change — I just needed to get them settled in so the old cage could be thoroughly cleaned before going to its new home next door. 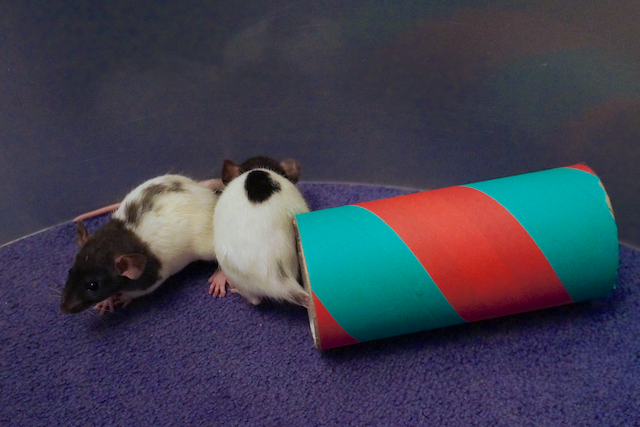 It is now home to three younger girl ratties and will give them a lot more climbing space than they previously had. 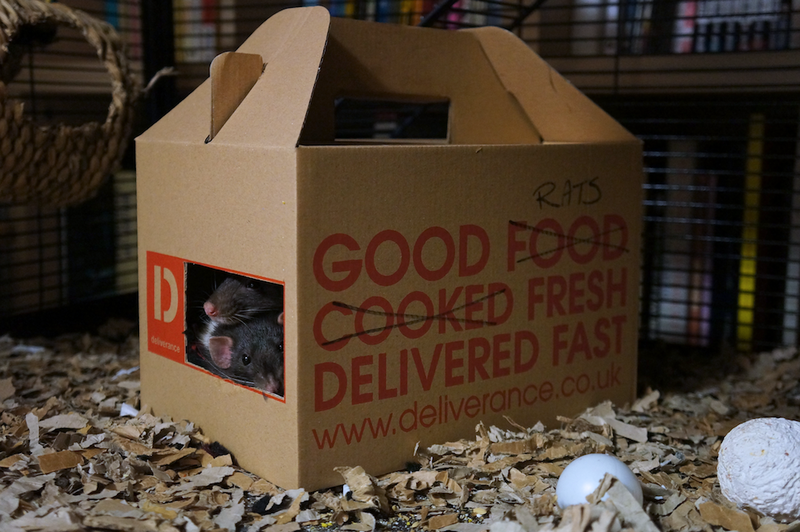 I might not be overly impressed with the food we’ve had from Deliverance, but their delivery boxes make perfect ratty hideouts. That’s River and Song poking their heads out, and Seven is somewhere in the depths of the box. Whenever we’d idly discussed get pets before, we had always assumed that we would end up getting a cat – we don’t have a big enough garden for a dog and, with both of us working, we didn’t have the time for one either. And Codepope is more of a cat person anyway. But we never really wanted a pet enough to actually do anything about it. In 2010, we pet-sat for our next-door neighbours’ daughter’s lone old white rat; not the most sociable of creatures, but interesting enough to pique our curiosity. But not enough for us to actually do anything about it. 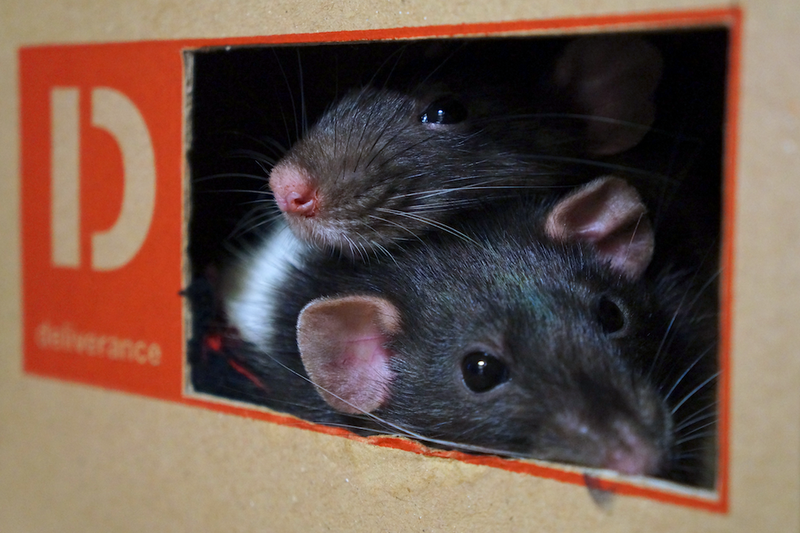 In early 2011, we pet-sat for her two brown rats; much more lively creatures and we really noticed their absence when they went back home. Now we were seriously thinking about doing something about it. I researched all the pros (intelligent, friendly, cute) and cons (short-lived, sharp claws), found suppliers of ratty things, and found and ordered a suitable cage. And, most importantly, accepted that I would be doing most of the day-to-day feeding, cleaning, and caring for them. Conveniently, around this time, the rather unimpressive local pet shop changed hands and got a new owner who was genuinely interested in animals and who even had some rats. 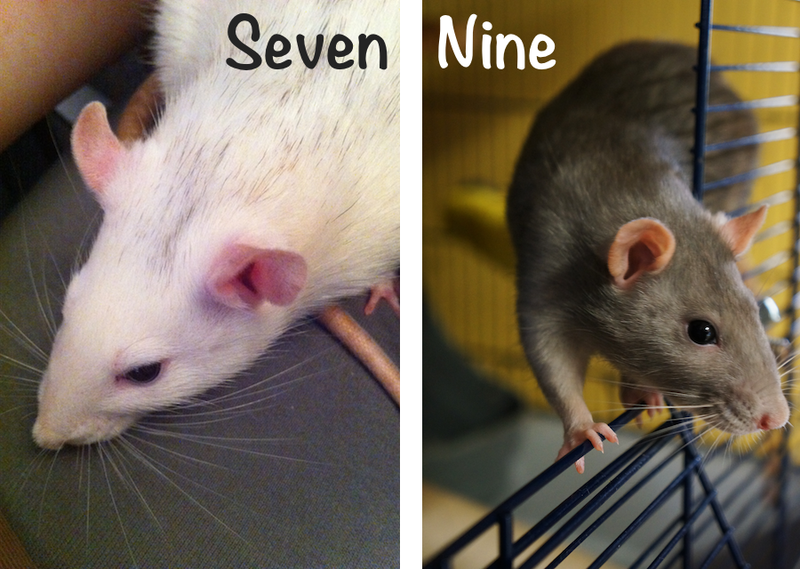 So, on 25th July 2011, we brought home two pet rats.